Suitable for use with XX1 Eagle, X01 Eagle and GX Eagle. We have a great knowledge base (built up from servicing bikes for so long!). Part Number: 11.7518.082.000. Puncture Repair. Disc Brake Spares. Prices vary depending on the size and weight of the item being sent. An envelope icon next to the order will show that it has been dispatched and if you hover over it with your mouse you will see the date of dispatch. If you recently placed an order and you're wondering why you haven't received it yet then you are at the right place, this page is designed to help you get your order as soon as possible. Solid Wrench 8/10/15mm, Spoke Wrench. Socket Hex Wrench 8/9/10mm. Hex (Allen) Key 2/2.5/3/4/5/6mm. 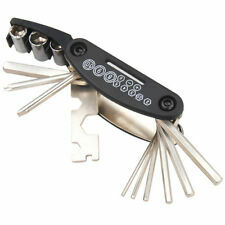 16 in 1 Multi-Function Bicycle repair tool kit. This Multi Function Bike tool is portable, lightweight and the perfect accessories for general bike repairs. Weldtite Tf2 Lubricant Lithium Grease 40g Tube. For use on headsets, wheel bearings, and bottom brackets. Exceptional water resistance, Easy application and high visibility. I work very hard to maintain 100% Service. DT Swiss Compatible Ring Nut Tool - 3-Pawl Rear Hubs. •Very good. Works as described. Will use again. •Arrived as promised and works great. Works as described no problems! A Would buy again! The images are of the actual item(s) you will be receiving. Smoove™ is a long lasting bicycle chain lube for use in any terrain. Smoove™ works in dry, wet, muddy or perfect sunshine conditions. Smoove™ reduces chain wear and increases the lifespan of drivetrain components. GT85 will ease cycle transmissions, bearings, hubs, brakes and cables and after the action, spray on after cleaning down for total protection. GT85 Contains PTFE- Forms a long-lasting protective and lubricating film. This type of inflator head is suitable for both presta and schrader valve,which is convenient to use and compatible. Great accessory for bicycle inflator. Rotating valve design will have great effect on adjusting air output easily. 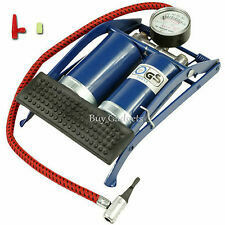 NEW SINGLE BARREL CYLINDER AIR INFLATOR FOOT PUMP CAR VAN BICYCLE TYRE UK. 1 x NEW SINGLE BARREL CYLINDER AIR INFLATOR FOOT PUMP CAR VAN BICYCLE BIKE TYRE. 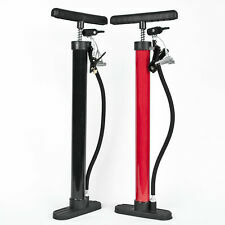 BIKE BICYCLE AIR FOOT PUMP. This Single Barrel Foot Pump is a must have for all households. This Heavy Duty Chain whip has a long handle grip and is essential for removing freewheels/cassettes. Hardened Chain pins provide strength for the toughest jobs. Rubber coated non slip handle for comfort. 1 x TT04 SPORT BOX WHICH INCLUDES. 1 x TT02 TOURING BOX WHICH INCLUDES. GENUINE REMA TIP TOP. 6 x 20mm patches. 12 x 20mm round patches. 12 x 15mm round patches. 12 X 45mm - 20mm oval patches. 12 x 28 mm round patches. Park Tool FR-2 older style Sun Tour 2-Prong Freewheel Remover Two-Prong Alloy. New Park Tool FR-2 Sun Tour 2-Prong Bicycle Freewheel Remover. Fits older Sun Tour two notch freewheels. Made from heat treated alloy tool steel for longer life. 48 x 15mm REMA TIP TOP PATCHES WITH TWO REMA TIP TOP 10G GLUE. REMA TIP TOP VULCANISING GLUE TO ENSURE PERFECT BONDING. Non-stepped featured edges enable overlapping adhesion and repair of injuries that are close together. Tre spilli adatti per il gonfiaggio palloni, una punta in plastica per gonfiaggio. 5 IN 1 ADATTATORI PER POMPE E COMPRESSORI. Per esercitare il diritto di recesso, il consumatore è tenuto a informarci della. Freewheel Remover Tool. 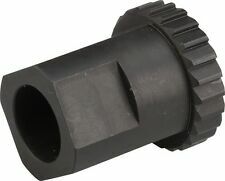 Thin wall construction allows the tool to fit many freewheel's 12 splines without removal of the hub cones and locknuts. The FR-1.3 is designed to remove 5, 6, 7, 8, and 9-speed freewheels made by Shimano, Sun Race, DNP, Sachs, etc. Bleed Block now included! Free UK P&P! DT Swiss Ring Nut Tool - Hugi 240/340/440/540. •Very good. Works as described. Will use again. •Arrived as promised and works great. Works as described no problems! A Would buy again! The images are of the actual item(s) you will be receiving. Convertire una valvola Presta in una valvola Schrader. Utilizzabile con una pompa per biciclette o un compressore d'aria. Il prezzo è riferito a 1 pezzo. Guardate le altre mie inserzioni. This kit is designed specifically for repairing MTB tubeless tires; no interior tire rim repair is needed. Resistance Training. Survival & Safety Gear. Safety & Reflective Gear. Plug the hole right on the rim and ride away. Gonflage: Schrader. Avec fixation pour cadre. - du cout réel de l'expédition ;. - De la manutention nécessaire à la préparation de votre colis ;. Téléphone : 02 43 11 28 43 Informations 53140 Pré en Pail - France. SRAM Butter Grease 1oz Tub. Cycle Accessories & Parts (72). 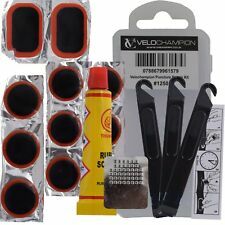 Cycle Maintenance/ Repair Kits (28). Ideal for Fork bearings, Shock seals and more including X0 hub pawls, pike and reverb service. Haynes Motorcycle Manuals (19). 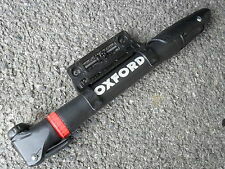 This tool requires a 16mm(5/8) or adjustable spanner for use. Simply Remove the bolt in the crank arm using a spanner. Screw in and continue to tighten the silver piece of the tool until the crank starts to move. Shoe Goo Amazing Goop Dichtstoff 59,1ml Tube. Bei Exposition oder falls betroffen: Ärztlichen Rat/ärztliche Hilfe hinzuziehen. Vor Gebraucht besondere Anweisungen einholen. Erst verwenden, nachdem alle Sicherheitshinweise gelesen und verstanden wurden. Prodotto originale BIANCHI. Ns rif.to 99147907. This product Includes 3 Pin Sizes to Fit a Variety of ChainsThese tools Includes 2mm, 3mm, 4mm, Replacement Tips For Different Size Cam ChainsWill Break Chains From #35 to #630Size:21.5*12.5*5.5cmFor Chain #520 & up, it is Recommend to Grind The Rivet Head .It was Designed to Rivet Chain Links to Form an Endless Chain or on Cam Chain to Drive.It is very good for repairing, splitting & riveting motorcycle chains.Heavy duty mechanism.Easily breaks the chain and rivets back together. Complete Chain Press Tool KitPackage include1set Chain Breaker Riveting ToolNote:Light shooting and different displays may cause the color of the item in the picture a little different from the real thing.The measurement allowed error is /-1-3 cm. Brand. Utilizzo anche parziale del bene e di eventuali materiali di consumo. Il diritto di recesso decade Informazioni per il consumatore ai sensi del Decreto legislativo D.Lgs. That is why the regular cleaning chain is very important. Supplied with a plastic brush and toothbrush scratch. Easy to Install and Use: No need to remove the chain from the bike, simply open the cover of bike chain brush cleaner, place it on the chain, close the cover, pour the preferred cleaning detergent (not supplied) into the water inlet, hold the chain cleaner handle and turn the pedal to start cleaning, convenient and efficient. Hardened steel tool that holds slotted chain ring nuts to prevent spinning when installing or removing chainring bolts. Fits most slotted chainring nuts. Use for chainring nut and crank cover wrench. Condizioni di vendita. Link d'aiuto. Inflating needles set - Sports ball inflating needles. Ball Inflating Pump Needle Valve Adaptor Sports Soccer. Each set has 3 x inflating needles 1 x flexible air hose and 1 x nozzle. Suitable for inflating footballs, basketballs, volleyballs and more. 3 Versatile Tire Levers Included. Add to favs. There are no hidden fees on the advertised price. All prices stated are in the currency specified. Browse All. New Park Tool FR-5.2 Bicycle Cassette Lockring and Cogs Removal Tool. Fits 12-spline, 23.5mm lockrings from Shimano, SRAM (including 1x), SunRace, SunTour, Chris King, microSHIFT. Fits the SRAM XX1 11-speed and SRAM 12-speed cassette lockrings. Fenwicks Assembly Grease. 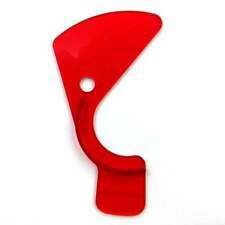 Cycle Accessories & Parts (72). 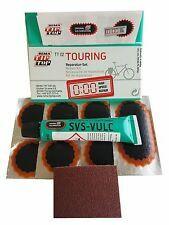 Cycle Maintenance/ Repair Kits (28). Air Line Tools & Couplings. Haynes Motorcycle Manuals (19). Fenwick’s Assembly Grease is a high-quality water-resistant grease designed for the toughest conditions. REMA TIP TOP. REMA TIP TOP 10G GLUE. TIP TOP TUBE PATCHES ARE NON STEPPED WITH A DOUBLE SCALLOPED EDGE WHICH ENSURES THAT THE PATCH STRETCHES EQUALLY IN ALL DIRECTIONS AND DOES NOT DEFORM THE SHAPE OF THE TUBE UNDER INFLATION.